It’s that time of year again; little girls get out their party dresses, dads dust down the Christmas jumpers and families head out into town to see a pantomime! 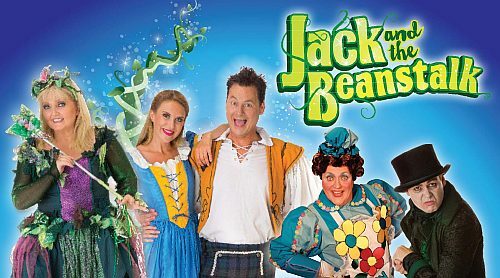 We were invited to to the opening night of Jack and the Beanstalk at Preston Guild Hall and took two very excited boys with us. I used to go to the pantomime at Preston Guild Hall with my grandparents so I was really looking forward to taking Luke and Charlie. I still remember the excitement of seeing my first pantomime there which starred Stu Francis of Crackerjack fame and I hoped they would enjoy the pantomime as much as we used to. This is the second year that Phil Walker has written a pantomime for the Guild Hall, his production of Sleeping Beauty last year received rave reviews so we had high hopes for Jack and the Beanstalk. 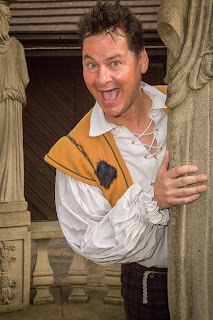 Multi-talented Phil also directs and plays the title role of Jack in this magical show, packed full of singing, dancing, pantomime jokes and traditional family fun. From the moment the fairy, played by Linda Nolan, arrived on stage and we heard the Fee-fi-fo-fum of the giant we knew this was going to be a great pantomime. The special effects and illusions by The Twins FX were simply outstanding and among the best we have ever seen, I would even go as far as to say that they were far superior to some of the bigger shows that we have seen in much larger theatres. 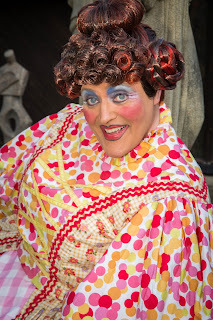 Over the years I have seen lots of Jack and the Beanstalk pantomimes but what made this pantomime memorable for me was seeing a real giant on stage. Usually all you get is a booming voice from the wings so we were all really impressed with a real giant! There were five main cast members who were all very talented. 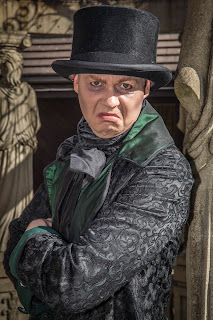 Phil Walker as Jack really carried the show along and his humour especially shone when interacting with the children. Local girl Charlotte Dalton as Jill was brilliant; I knew she was a singer but it turns out she can act too. 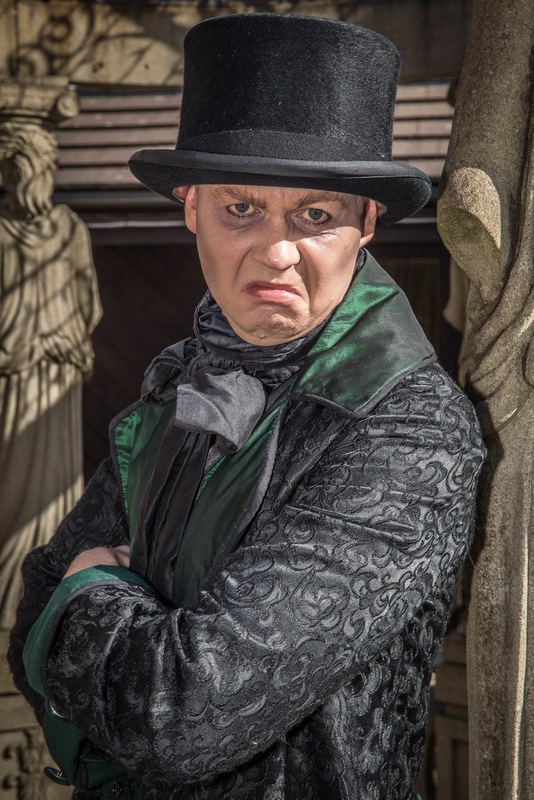 The villain, Fleshcreep, was played by CBBC’s Marvyn Dickinson, who managed to add creepiness without being too scary. 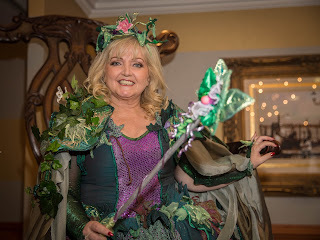 Linda Nolan is obviously the most well known (at least to the adults) and was well cast as the good fairy guiding the story along. 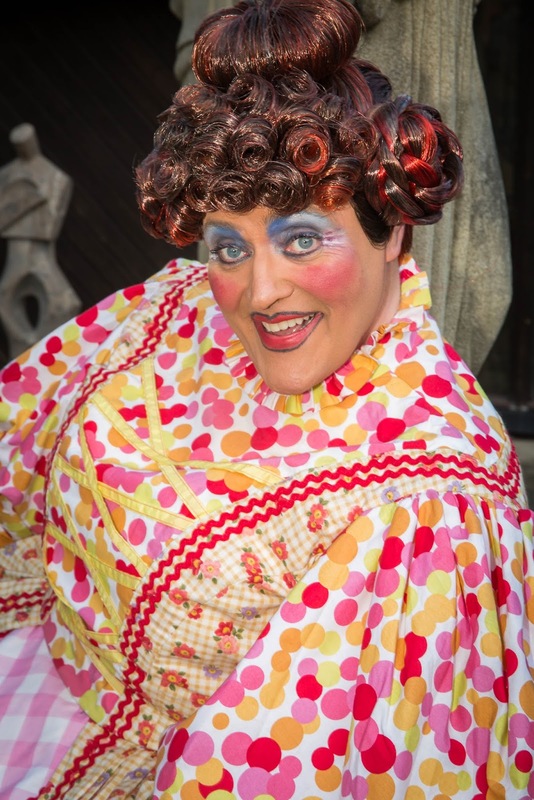 Every pantomime has to have a dame and Ian Good, with 40 years’ experience is obviously well practised at playing the pantomime dame. He was everything a dame should be, big makeup, big hair and just a little bit saucy. There was a slight technical hitch with his microphone but he just took it in his stride, made a few jokes and got on with the show. The cast worked very well together, this was the opening night and the rapport between them was obvious. The dancers were very skilled and the junior dancers from Sanham Fitchett Dance School deserve a special mention, they all performed perfectly and you could tell they were enjoying being part of the show. The pantomime had something for everyone, the boys especially loved the jokes and were singing the “One Smart Fellow Felt Smart” song all the way home and I’m sure they weren’t the only ones! It wouldn’t be a pantomime without audience participation and with a packed theatre it was good to see everyone joining in. 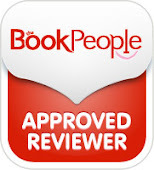 We had a fantastic night out; it was the best pantomime we have seen for a long time. Jack and the Beanstalk is showing at The Guild Hall until Thursday 5th January and is well worth a visit.